New York isn’t Hollywood, but that’s what makes it interesting. 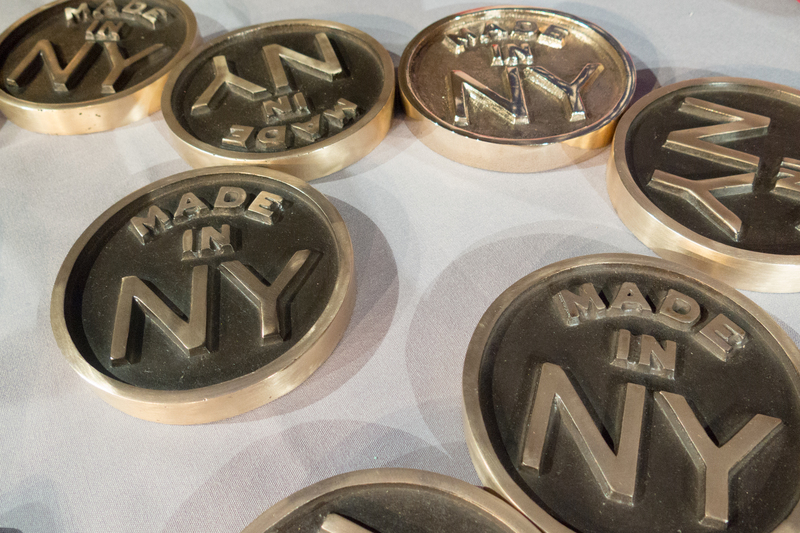 At the 2014 “Made in NY” Awards, famous faces dedicated to the New York entertainment industry gathered in Williamsburg to toast to the benefits of creating and filming in New York City. “This is everything good about New York City in one room right here,” said New York City Mayor Bill de Blasio. “You cannot think about New York City and its greatness without the cultural community. This defines why New York is New York. We’re celebrating people tonight who are the epitome of that, and who are helping us to continue to grow as a capital of film and television for this nation.” And according to de Blasio, the industry is booming: In 2014, 39 television series and more than 230 movies were shot in New York, generating more than $7 billion in revenue for the city and creating jobs for more than 130,000 New Yorkers. “Every frame of ‘Boardwalk Empire’ was filmed in every borough of this city. That’s a fact that I’m really proud of,” said Steve Buscemi, after making a comedic dig at de Blasio’s recent bill lowering the speed limit on most New York City streets.